The Russian Law on Joint Stock Companies, together with the Civil Code, is the principal law regulating the activities of joint stock companies in Russia today. Author Anna Tarassova was its primary Russian drafter; authors Black and Kraakman served as advisors during the drafting process. 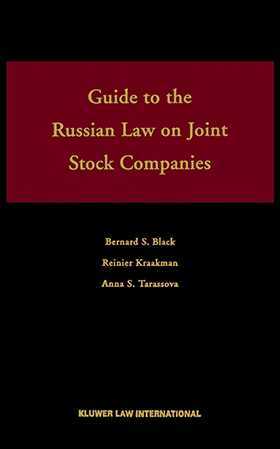 Guide to the Russian Law on Joint Stock Companies is their definitive examination and analysis of Russian Company Law. how-to guide for corporate planners on creating a company with only the minimum charter capital permitted by the law.